I saw this on a picture while at a restaurant this past weekend. The author was, unfortunately, not listed on the piece of art because this phrase has captivated my thoughts ever since. When a person begins piano lessons, they begin with one hand at Middle C. Almost everyone knows how to play “Mary Had a Little Lamb” even if they have not had one piano lesson. Why? It’s safe. It’s predictable. Manageable. Next, they add their left hand and more notes and octaves. Then, the all mysterious black keys and minors are presented. Pandora’s Box flies open wide when they discover the great Circle of Fifths. As they progress through sevenths, ninths, sharps, and flats, they eventually discover adagio, allegro, forte, and decrescendo. When all 88 keys of a piano are skillfully explored, the result is a magnificent piece of art, pleasing to the ears and soothing to the depths of the soul. The piano is maximized at it’s best and no two pieces ever sound the same, designed by the master performer, creating a once in a lifetime gift, presented to the listener and the musician. That is how your life, and mine, should be. How easy it is, to play it safe in the middle, never advancing out to the remote regions of our soul to discover all of our gifts and talents. Maybe it doesn’t sound right at first. There are 88 keys on the keyboard. 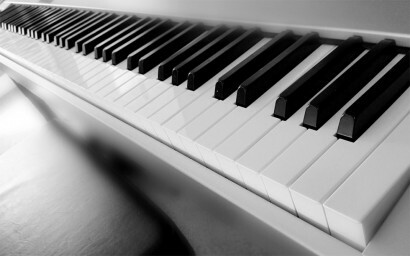 To a trained musician, playing within only 24 of those keys eventually sounds trite and shallow, especially when the understanding that that potential of every applied note with adeptness and expertise produces magnificence, clarity and purpose for not only the piano, but the mastermind behind the creation: the composer. and deliver them to those outside our box. ← Do You Want to Experience Awesome with God?